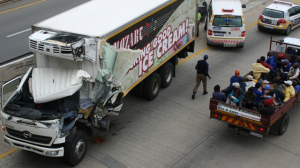 There are a number of cases when a car accident is nothing more than a result of a motorist who has been consuming alcoholic beverages prior to taking to the roads in their vehicle. Thus, the threat of being hit by a drunk driver is real. In cases like this, there will be multiple courses of litigation. One being a criminal trial in related to the fact that the car accident was caused as a result of DWI or DUI, a criminal offense related to driving drunk which is illegal in all states. The other being related to personal injury litigation, or tort law, in other words. Normally, when a DWI assault, or DWI Manslaughter case to goes to trial, its an open and shut case resulting in a conviction for the defendant. However, albeit rare, there have been cases in which very persuasive, sharp, professional DWI lawyers have won cases which have shocked public by way of the handing down of a not guilty verdict post trial. Regardless of your situation, always make sure to document all the information related to your auto accident, and be sure to call the police regardless of if you believe the driver of the vehicle at fault is intoxicated or not. This will go a long way towards ensuring that your attorney can win in the event that you need a tort lawyer to file a personal injury lawsuit so you can claim and recover any compensation that you may be entitled to. Sometimes this can involve suing the driver, the company the driver works for if they were on duty, and the insurance company of all parties involved. We recommend talking with an experienced attorney about the details of your case so you can get the best information possible to lead you in the right direction as far as your next coarse of action is concerned.